Double Pleated Relaxed fit Work Pant.Touchtex technology, soil release & wickability. Soft hand twill. 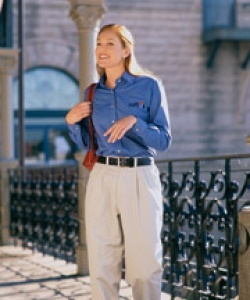 Two front & two set-in hip pockets. 8oz.65% polyester/ 35% Cotton.